The prophet of the Spiritual Christian Church in South Africa who made his congregants drink Dettol antiseptic liquid has been spotted buying more bottles because according to him, after last week’s service he has been receiving amazing testimony from members of his church. “Dettol has been proved to be safe and effective when used as per recommended directions; however it is not for human consumption and is for external use only. Even after the company called the prophet on his phone and asked him to stop the practice, he was unfazed. 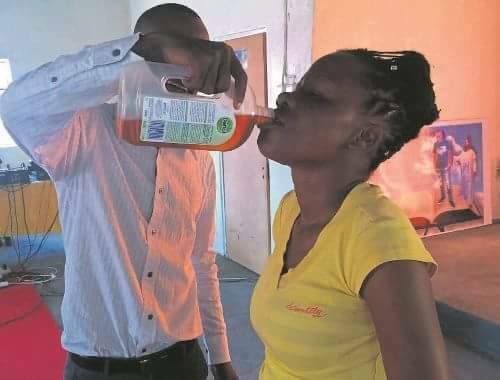 DailySun South Africa reports that when they called the pastor on Saturday, he told them he had already bought four bottles of the product for use during yesterday’s service.